The day of salvation for Zacchaeus happened when Jesus abode at his home (Luke 19.9). Zachaeus was a "publican", a tax collector and was rich (Luke 19:2). Zacchaeus was a small man and knew he would not see Jesus over the crowd, when He came (Luke 19:3). That didn't hinder him from seeing Jesus though. He simply climbed a sycamore tree to have a point of vantage (Luke 19:4). Jesus immediately saw Zacchaeus and told him to come down and that He wanted to abide at His house (Luke 19:5). Zacchaeus came down from the tree, and joyfully received Jesus (Luke 19:6). The crowd was displeased because Jesus was going to abide at a sinner's house (Luke 19:7). 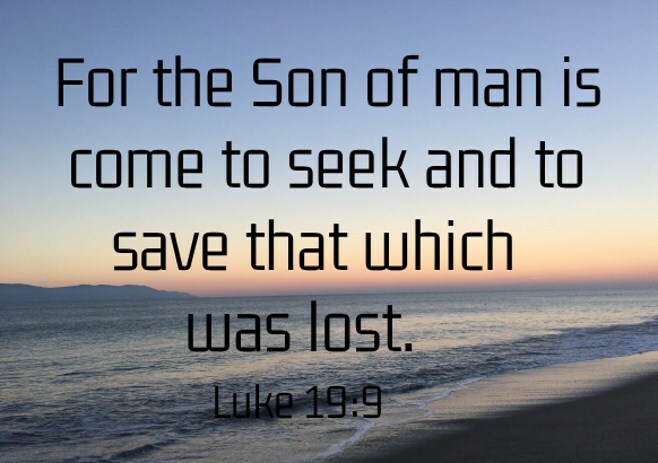 For the Son of man is come to seek and to save that which was lost (Luke 19:9). Anybody wanting to be saved, to become a child of God (Romans 8:16), would do well to emulate Zacchaeus. The first thing that we notice is that Zacchaeus was eager to meet Jesus. He did whatever he had to do to meet the Lord. Today anyone who is eager to meet Jesus, would graciously accept an invitation to church, or attend a Bible study, or listen to a testimony of someone who is saved. Another day of salvation attribute that Zacchaeus had was that he was obedient. Jesus told him to come down from the tree and to take Him to his house and Zaachaeus did not argue with Him - he did what Jesus told him to do and did not listen to the naysayers. Then when he was in the presence of Jesus, he was convicted of his sins and repented. Every candidate who wants to be saved must be willing to repent of his or her sins. The Apostle John, in His first Epistle to saints (those who were already saved) told them that Jesus abides in them because He gave them His Spirit. 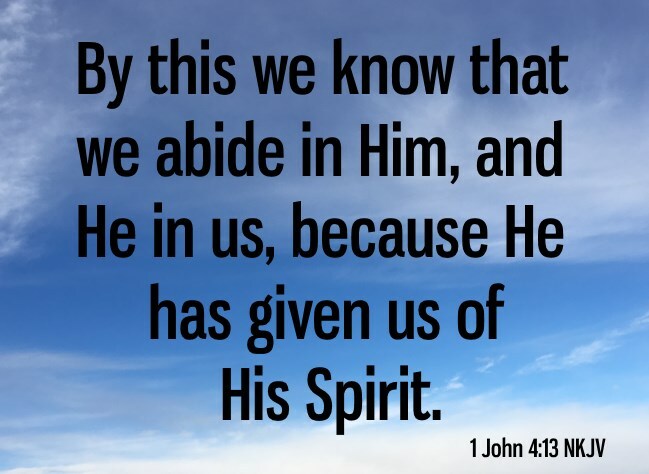 By this we know that we abide in Him, and He in us, because He has given us of His Spirit (1 John 4:13 NKJV). How do we know, without a shadow of a doubt, we have His Spirit so He abides in us? Now there was a man of the Pharisees named Nicodemus, a ruler of the Jews. This man came to Jesus by night and said to him, “Rabbi, we know that you are a teacher come from God, for no one can do these signs that you do unless God is with him.” Jesus answered him, “Truly, truly, I say to you, unless one is born again he cannot see the kingdom of God.” Nicodemus said to him, “How can a man be born when he is old? Can he enter a second time into his mother's womb and be born?” Jesus answered, “Truly, truly, I say to you, unless one is born of water and the Spirit, he cannot enter the kingdom of God. That which is born of the flesh is flesh, and that which is born of the Spirit is spirit (John 3:1-6 NKJV)". 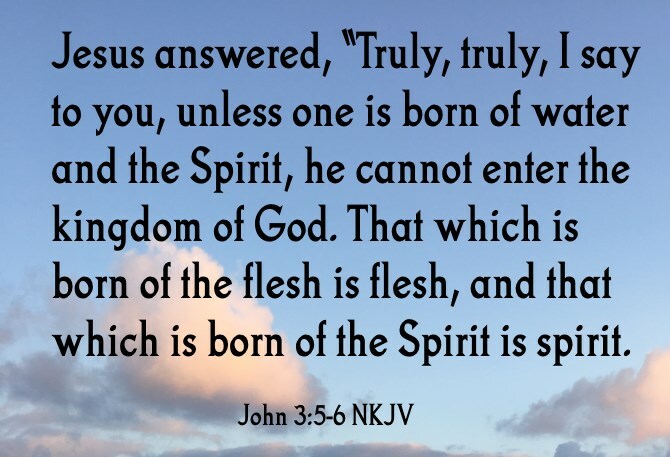 As we will see shortly, John did not fully understand what Jesus was saying at the time Jesus said it - that we are not born from our mother's wombs with the Spirit abiding in us. Instead though, to be born of the Spirit, or have the Spirit abide in us, we must be born again. ..... If any man thirst, let him come unto me, and drink. He that believeth on me, as the scripture hath said, out of his belly shall flow rivers of living water (John 7:37-38). But this He spoke concerning the Spirit, whom those believing in Him would receive; for the Holy Spirit was not yet given, because Jesus was not yet glorified (John 7:39 NKJV). How do we get His Spirit? The time is fulfilled, and the kingdom of God is at hand: repent ye, and believe the gospel (Mark1:15). Repent, and let every one of you be baptized in the name of Jesus Christ for the remission of sins; and you shall receive the gift of the Holy Spirit (Acts 2:38 NKJV). How do we know His Spirit abides in us? While Peter was still speaking these words, the Holy Spirit fell upon all those who heard the word. 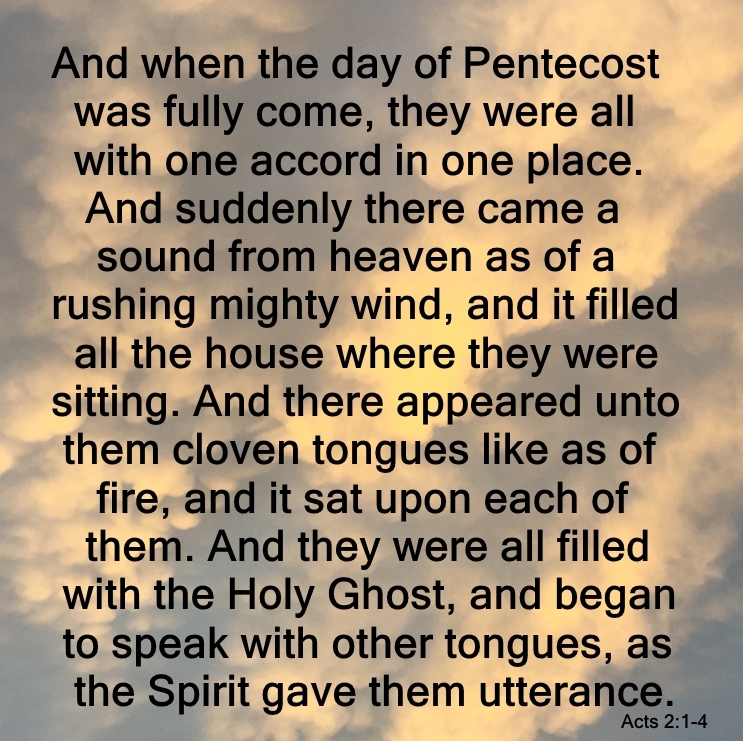 And those of the circumcision who believed were astonished, as many as came with Peter, because the gift of the Holy Spirit had been poured out on the Gentiles also. For they heard them speak with tongues and magnify God (Acts 10:44-46 NKJV). And when Paul had laid hands on them, the Holy Spirit came upon them, and they spoke with tongues and prophesied (Acts 19:6 NKJV). Yes, I Want To Go To heaven.